H290. 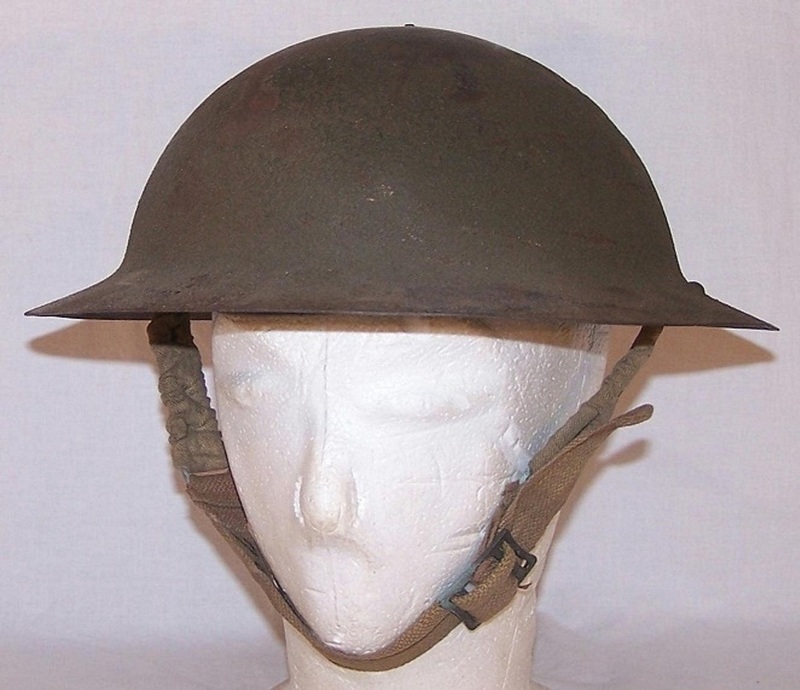 An Australian made Brodie style helmet dated 1942, it has about 50% of its original rough finish. 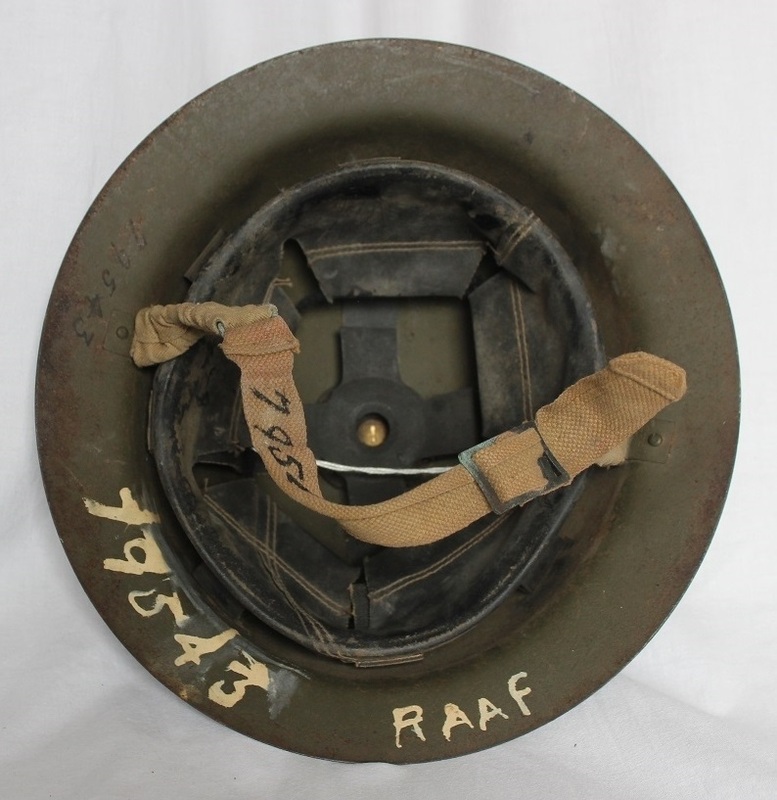 The helmet is marked RAAF 79543 in white paint on the brim, which indicates it was worn by Sidney William Lawless. H290. 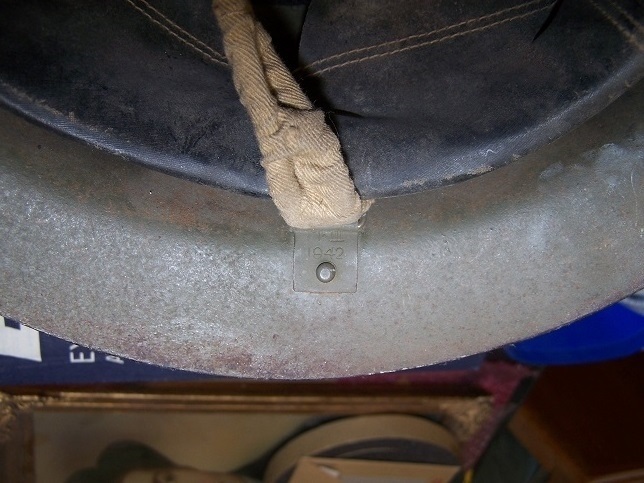 Date on chinstrap bracket. H351. 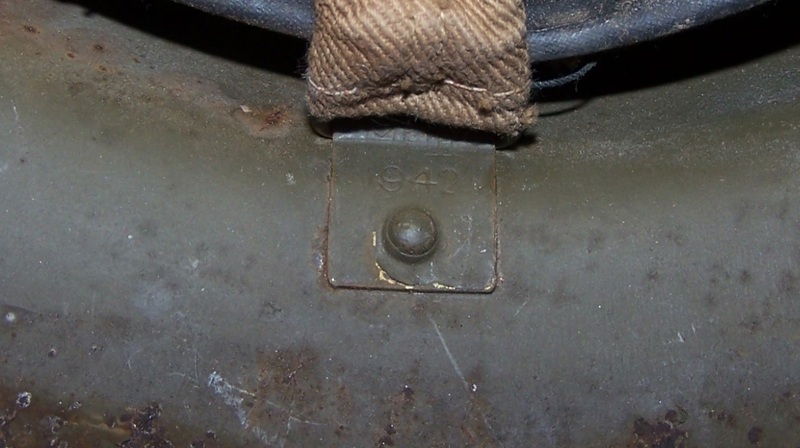 Date on chinstrap bracket. H361. 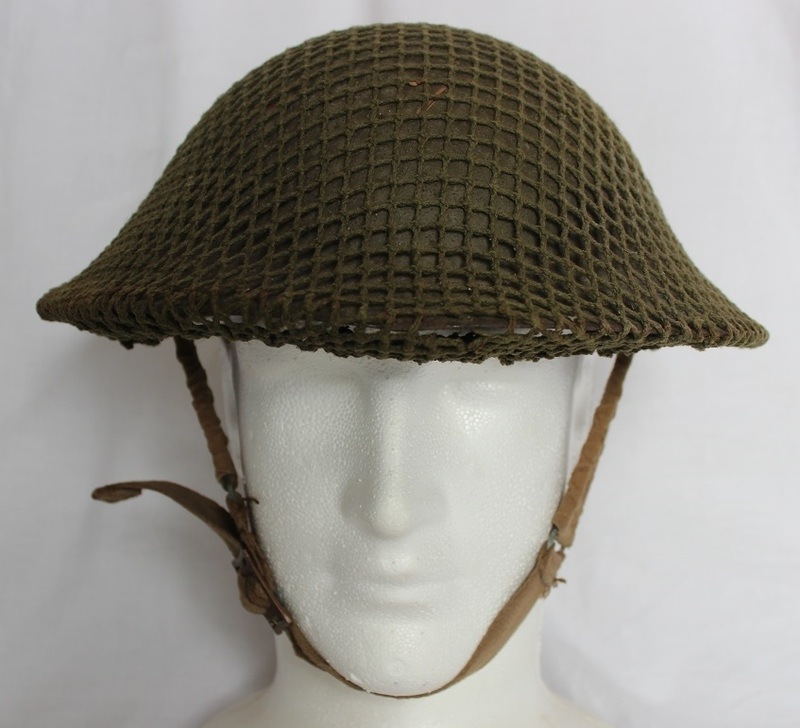 An Australian made Brodie style helmet dated 1942, it has the majority of its original rough finish. 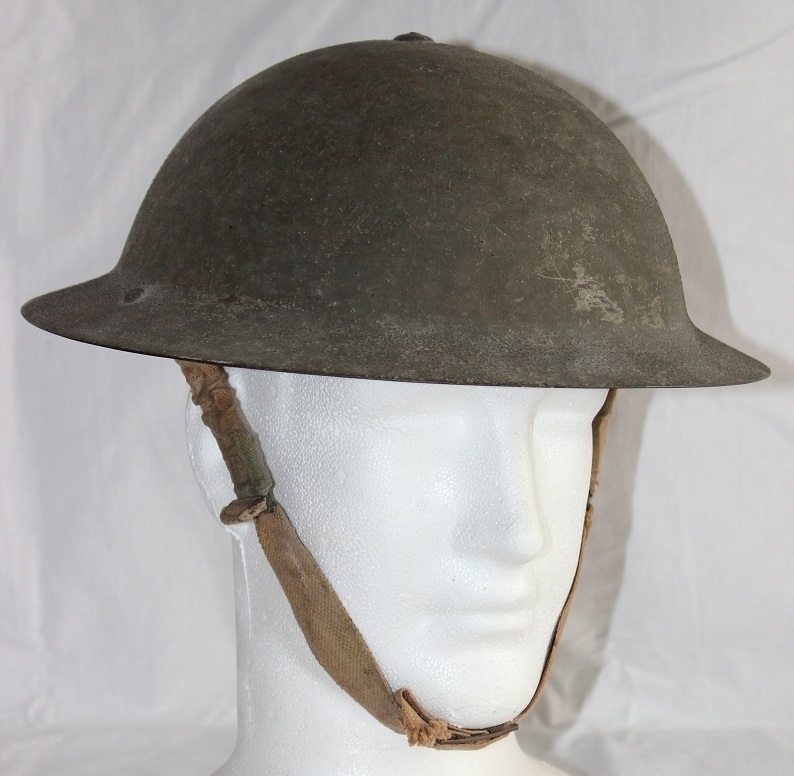 The helmet is marked RAAF 5441 in white paint on the crown, which indicates it was worn by Verdun Albert Walker. 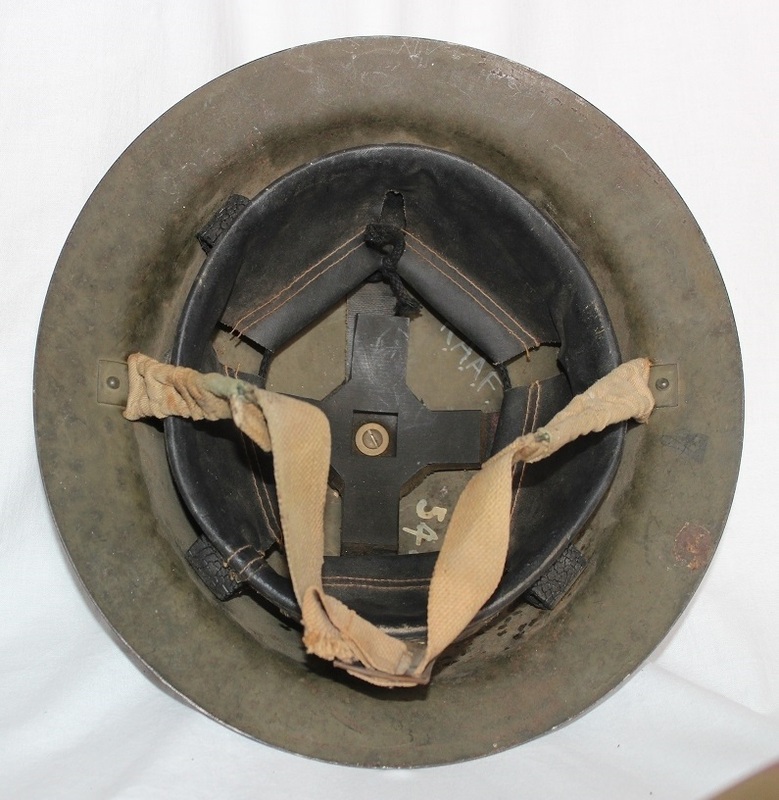 It is also stamped 7 under the brim. H361. 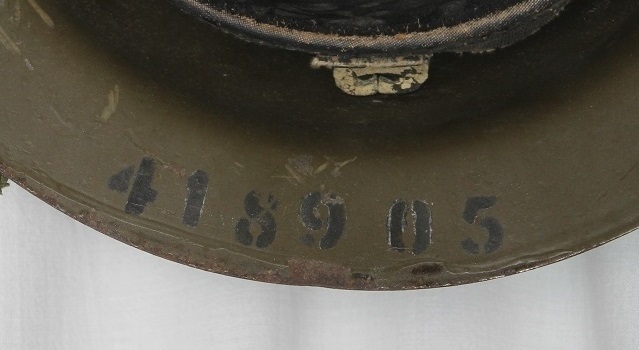 Service number on crown of helmet. 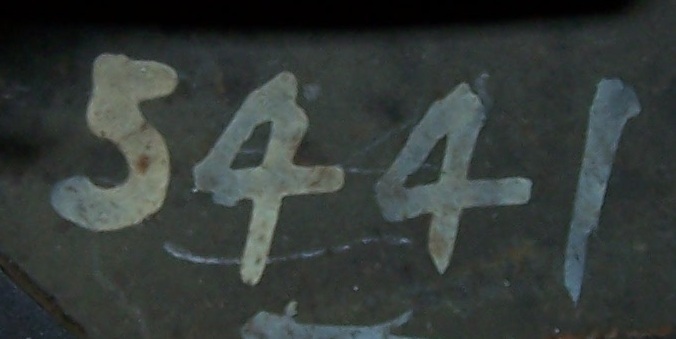 H417. 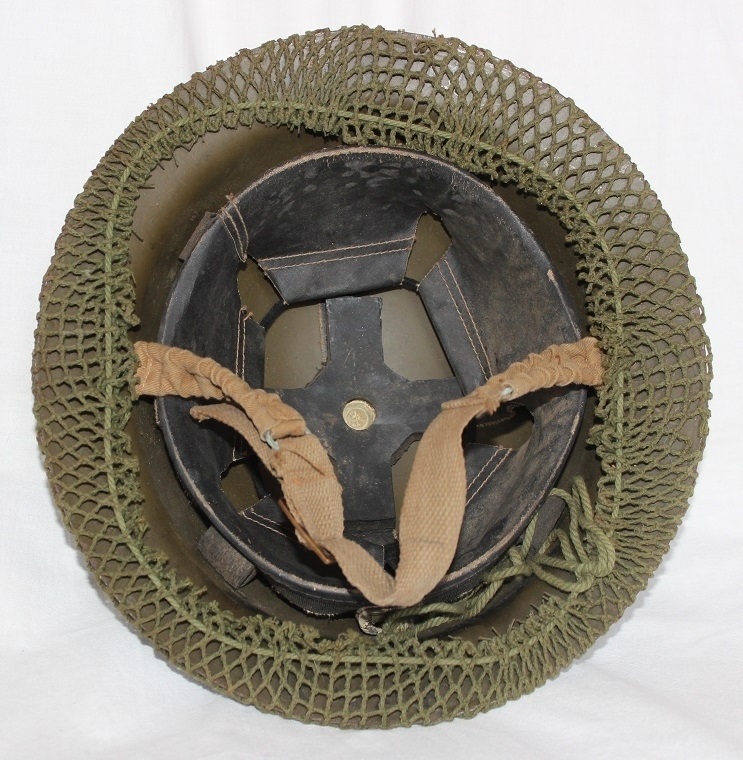 An Australian made Brodie style helmet dated 1942 with a camouflage netting, it has 100% of its original rough finish. 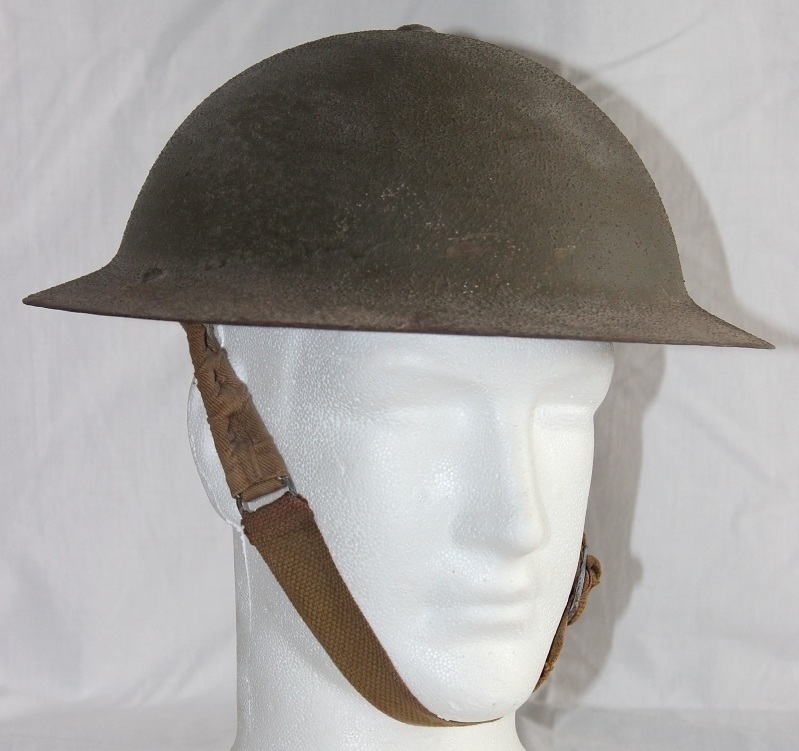 The helmet is stencilled RAAF 418905 in black on the brim, which indicates it was worn by Alexander Francis Williams. 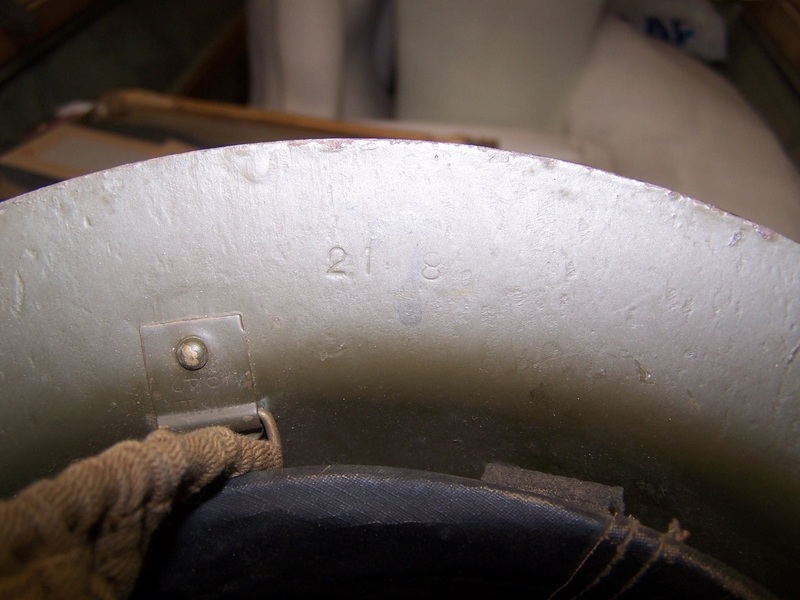 The brim is also stamped 21 8 which could be a batch number and there is a number 7 under the brim as well. H417. 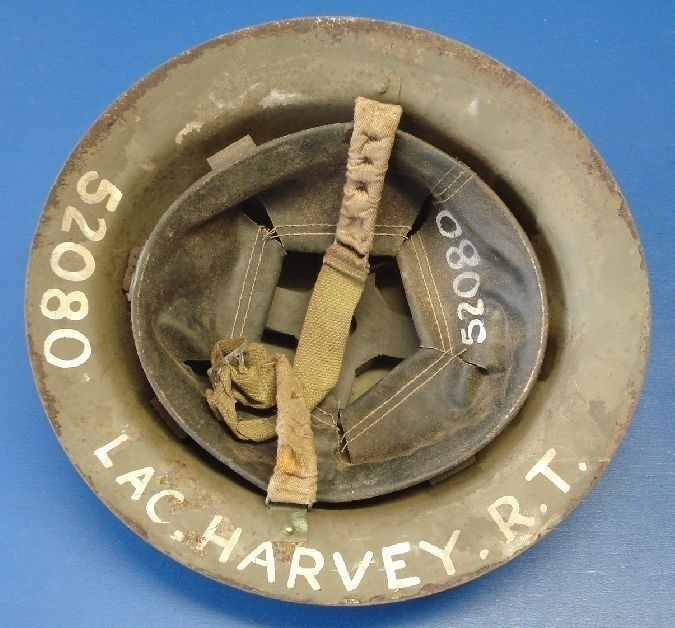 Service number under brim. H417. Possible batch lot number.